Dancer and choreographer Agnes de Mille once said, “To dance is to be out of yourself. Larger, more beautiful, more powerful… This is power, it is glory on earth and it is yours for the taking.” Dancing can unleash creativity, create feelings of joy and impart a number of health benefits. As demonstrated in recent studies, there are many reasons to consider heading out to the dance floor. Cardiovascular fitness is important at any age. Activities such as dancing help promote the flow of fresh oxygen through the body, which is important for the functions of everything from blood vessels to internal organs. Dancing helps with the maintenance of muscle strength and physical stamina and can help raise the overall quality of health. Regular cardiovascular exercise can also help keep conditions such as hypertension and Type 2 Diabetes in check. Dancing assists in the release of endorphins, those mood-boosting hormones that are released into the brain during certain activities. An inherently social form of exercise, dancing brings people together, creates social connections and promotes friendships. This type of activity can help combat feelings of isolation and can also help reduce anxiety. Dancing has been shown to be beneficial for those struggling with insomnia and depression. Lack of coordination and strength can lead to accidents such as tripping or falling and result in an injury. Dancing is often a great antidote. Even just a few weeks of dance class can improve the strength and muscle tone of the core, lower and upper body, resulting in improved balance and coordination. In addition, some low-impact dance classes can help reduce joint pain and stiffness associated with conditions like arthritis or fibromyalgia. In 2003, the New England Journal of Medicine published a 21-year study demonstrating that adults over the age of 75 who danced on a regular basis had a 76% reduced risk of experiencing dementia compared to adults who chose to participate in other leisure activities such as reading, golfing or cycling. 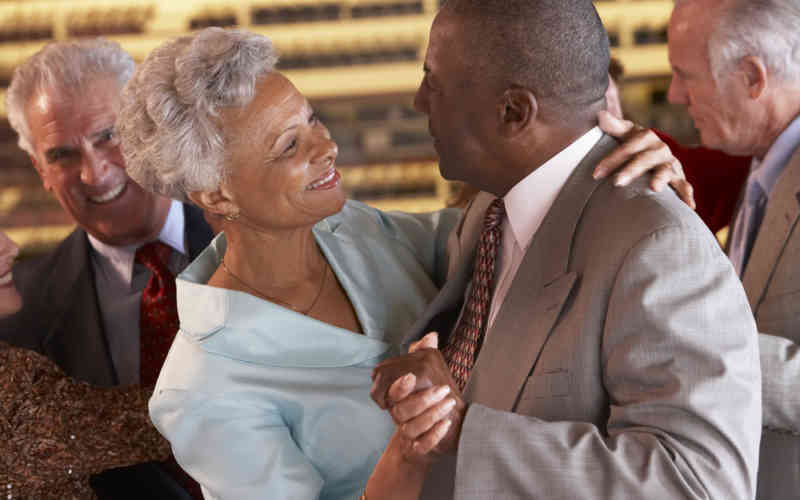 The study results suggest that dancing promotes quick decision-making skills which, when combined with cardiovascular activity, can help stave off dementia. At any age, a reduction in physical function can take a toll on self-confidence. Learning new dance steps or overcoming shyness about getting out on the dance floor can create feelings of satisfaction and provide a real boost to self assurance and self confidence. Dancing is a wonderful option to get a great workout and to rediscover the joy of moving to music. Echo Lake hosts a weekly, complimentary Broadway Dance class for beginners at our Welcome Center. This introductory class promises to get your heart pumping and will be a lot of fun, even if you have two left feet! Contact us to RSVP for the class, or call 484-568-4777 for more information.